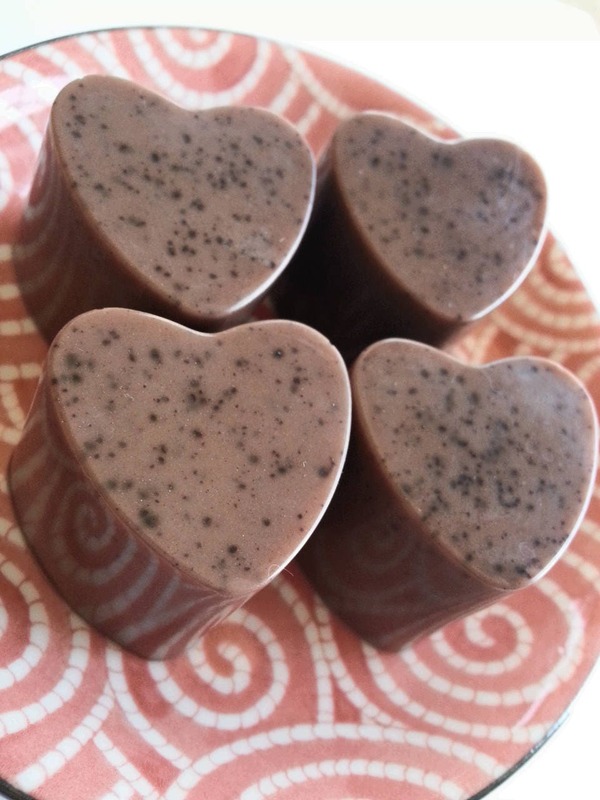 Set of 4 individually crafted heart-shaped soaps with honey and organic fair trade cocoa. Looks and smells like delicious chocolate, but don't eat it! Perfect for Mother's Day, Valentine's Day, birthday, anniversary, a housewarming or hostess gift, or for any occasion. Sizes: About 1" x 1.25"
Ingredients: Coconut Oil, Palm Oil, Safflower Oil, Glycerine (kosher, of vegetable origin), Purified Water, Sodium Hydroxide (saponifying agent), Sorbitol, Propylene Glycol (made from vegetable glycerine), Sorbitan oleate (emulsifier), Oat protein, Titanium Dioxide (mineral whitener used in opaque soaps), honey, and organic fair trade cocoa.